Human factors are in play with each and every action that we undertake. That is why the critical error reduction techniques for preventing injuries can also play a role in improving operational efficiency and reducing levels of employee absenteeism, downtime, complaints and scrap material alike. SafeStart has taught more than 3,000,000 people how to be safe and how to make a positive change in a world constantly ‘on the go’. 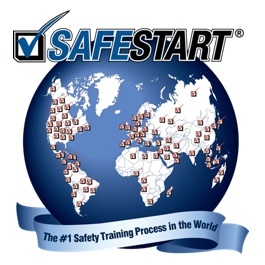 Although we relentlessly sought to perfect the most successful safety training programme in the world that set out to prevent more accidents and fatalities than anything ever produced before, we soon discovered that clients were using SafeStart concepts in original ways: people at all levels were transplanting the ideas and methods into production scenarios, as well as quality control and customer-facing contexts. Why? The reason was simple: results. The SafeStart methodology was positively impacting wider performance and markedly improving competitiveness. Companies that have implemented SafeStart have reported sharp falls in unscheduled downtime (over 70 percent) and cost per tonne (over 53 percent), as well as dramatic declines in complaints coming from customers (48 percent). Such results inspired us to develop “SafeStart Performance”, a training programme in three units to help organisations transfer the key concepts and techniques of critical error reduction into any situation. This has been applied from the boardroom to the back office and can be used in any situation where human beings can suffer from being fatigued, frustrated, rushed or complacent.